High performance street pad featuring Kevlar technology. 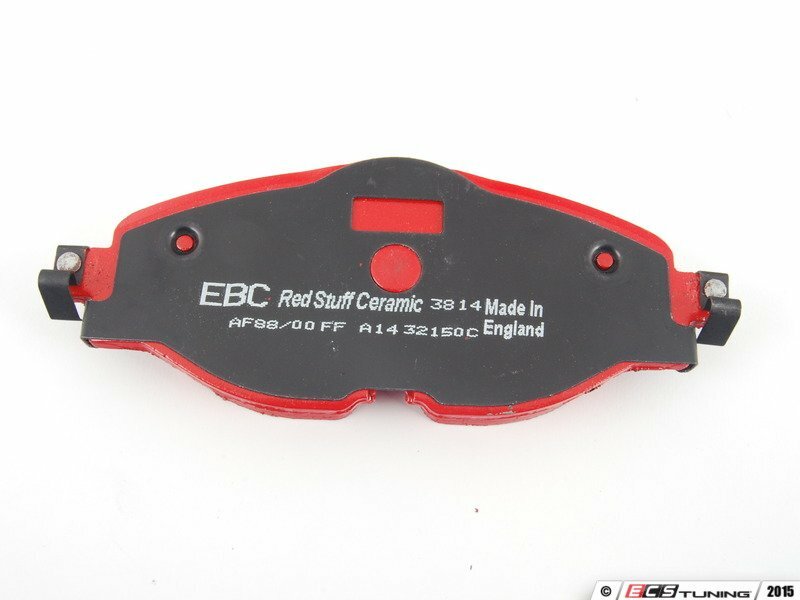 EBC Redstuff brake pads are designed for performance models that are driven aggressively on the street. These pads offer stopping power even when your brake discs are cold. These pads utilize a Kevlar fiber based compound that has been enhanced with ceramic particles. If you have previously tried EBC Redstuff (pre-ceramic compound) this material is light years ahead. It lasts longer, it brakes better and is quieter. If it is time to replace your pads, it is also a good idea replace your rotors to get maximum braking performance and longer life out of your brakes. Replacing just one component can result in problems down the road. 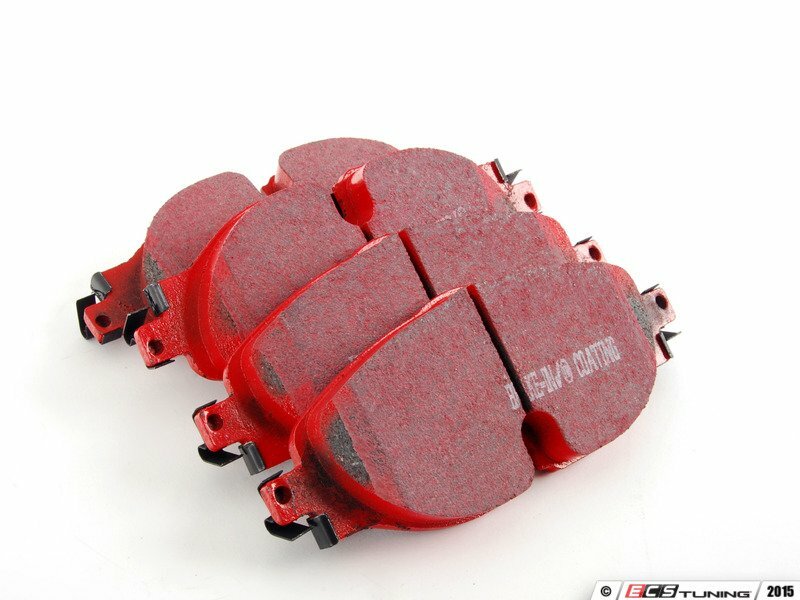 ECS carries a wide variety of brake rotors for your vehicle. With new pads and rotors, you need to make sure they are bedded and mated with each other. 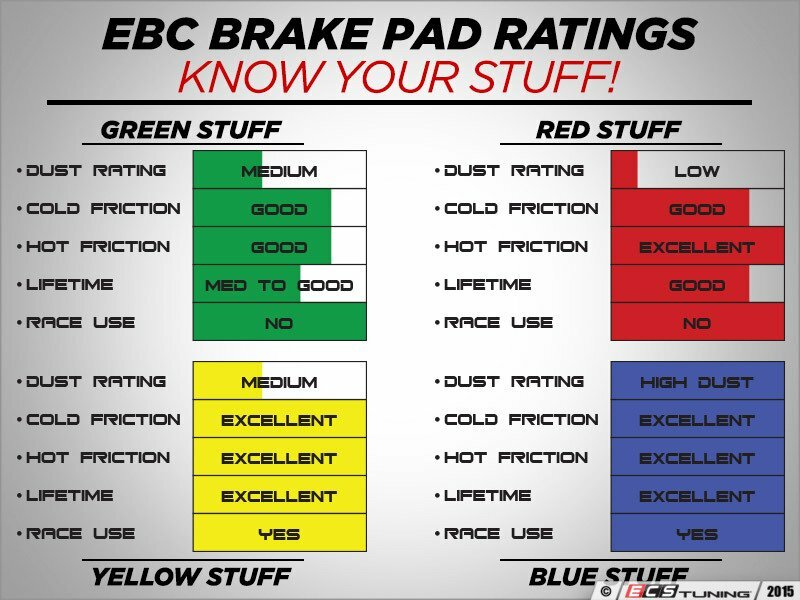 To be sure they are, follow the brake pad bedding procedure on ECS Tuning's site.